In the days before Christmas last year, the ACT Government announced the lowest level of funding for arts projects in living memory. From around $1.1M in 2005, artACT’s Project Funding category has been reduced to just $300,000 per year. After action taken by the ACT Arts Community the new Minister for the Arts, Gordon Ramsay, announced an additional $230,000 would be allocated to the Project Funding Round and that hopefully 13 more projects would receive funding. A positive action by the new Minister. And what has the Childers Group been doing? Well prior to the Project Funding announcement we’ve been busy with the ACT Budget process over the year and the ACT Assembly election. Since 2012 the Childers Group has been involved in the ACT budget process. As part of that we submitted a detailed submission to ACT Treasury as part of the 2016/17 Budget process. A request for an additional $500,000 was made, specifically for Project funding. In September 2016, the Childers Group released an analysis ( done by Jack Lloyd) of the past 12 years of arts grants in the ACT and the trends within different funding types. This analysis shows that over this time, stretching over three full electoral cycles, there has been a significant decline in ACT arts grants on a per capita basis, and as a proportion of funds available to Government and this data was presented by Childers Group representatives to ACT Budget Estimates on June 17th. In December 2016, the Childers Group submitted another detailed submission as part of the 2017/2018 Budget process. 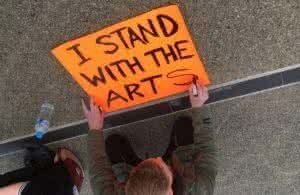 The Childers Group strongly recommends increased investment in the arts as outlined in our submission. Canberra is rightly recognised as one of the world’s great cities, and one of the most liveable cities in the world. This phenomenal achievement is due in part to the rich diversity of creative opportunity available to us to experience and participate in. With the growth of our city and surrounding regions, we must be courageous and imaginative in ensuring these opportunities grow with us. The Childers Group strongly advocates that the increase of an extra $750,000 per year for the ACT Arts Fund that was committed to by ACT Labor during the recent election process be allocated in the 2017-2018 Budget. The Childers Group was active during the ACT Election process. In February, we held a very successful forum at Gorman House attended by the arts spokespeople for Labor, Liberal and the Greens. Just prior to the election the Childers Group released 3 videos on our Facebook page with the arts and cultural policies of the major parties. The Childers Group (and the sector) were delighted to learn that the ALP pledged an additional $750,000 for arts funding. It appeared our advocacy and consultations with artsACT and government had been successful. The announcement (five days before Christmas) of a 66% reduction in 2017 Project Funding for arts projects rocked the arts community. An extensive advocacy program resulted. Michael Sollis (convenor) , along with 40 artists met at the Street Theatre on 22nd December and arranged a delegation to meet with the Minister. The Childers Group met with the Minister in late January and overall it was a constructive meeting. Many issues were covered. He made a strong commitment to honour the Labor election promises, so we can expect to see the $750k in this year’s budget. On the 1st February the Minister announced a further $230,000 had been allocated to the Project Funding Round. There is no doubt that the action taken by the ACT Arts Community ( lead by Michael Sollis ) has led to this outcome. Well done to all those concerned. Also congratulations to Minister Ramsay for making this positive step forward in his new portfolio. The Childers Group looks forward to building a good relationship with him over the life of this Assembly. As part of our general arts advocacy program for this year the Childers Group is planning to meet with all the new Assembly MLA’s over the first half of this year. We have had positive meetings already with Vicki Dunne ( Liberal ) and Caroline Le Couteur ( Greens). It’s important to add your voice.